Makes: Makes about 4 pint jars. 1Slice the pickles, red pepper and onion into a large bowl and sprinkle with salt. Toss and refrigerate for about 6 hours. Pour off the excess moisture, rinse and drain well. 2In a large pot, bring the sugar and vinegar to a boil. Add the cucumber mixture and spices and cook for a minute or two. 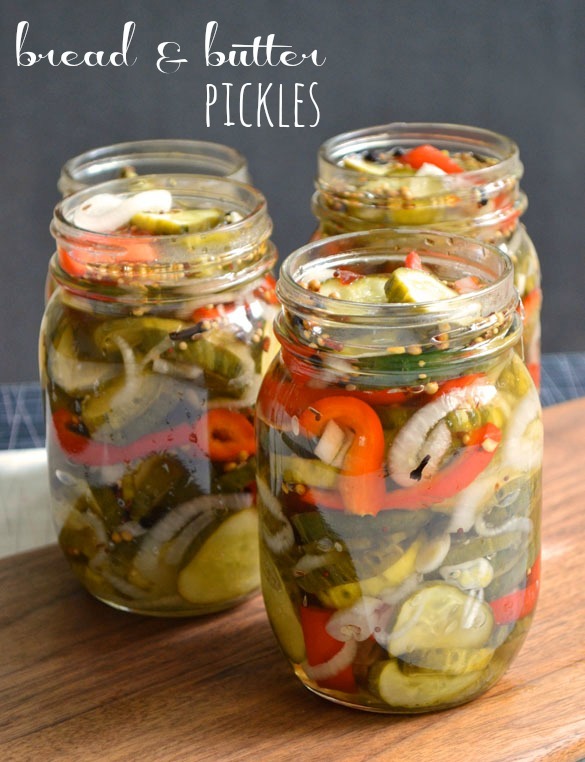 Divide the pickles into jars and pour in the brine to within 1/2 inch of the rim; wipe it clean and seal. If you'd like to process them for long-term storage, Bernardin suggests processing pickles in a hot water bath for 10 minutes. Otherwise, store them in the fridge for up to a month.